Hope you had a very nice and relaxing weekend. So, this city is London, not so hard to imagine due to the title of the post :) and a quote says: "When a man is tired of London, he is tired of life, for there is in London all that life can afford!" That's a very nice card from Lilach! My friend is doing an internship in London and I really want to go there but I need to figure out with all of my schedules. She will be there till June. Instead, a normal thing that comes to mind is tea, I love it! The typical dish of London is not the roast beef, much less the classic breakfast with bacon and eggs. It is not the hot dog, more German than English, much less curry, that it is indian but also nominated pure english. The English dish is the "Fish & Chips", all strictly fried. The subway, taken every day by millions of people, has more than 140 years and its extensive range has found itself in the path of ancient sites and historic parts of the city, perhaps disturbing the sleep of many. Inside it, a series of mysterious phenomena sometimes and the British media have repeatedly stated that each station has at least one ghost. In Farringdon Tube, for example, there is the gost of a 13 year old girl who was working as an hatter and who apparently was murdered by his superior close this station where, under the influence of strong currents, it seems you still feel the tears of this girl. Do you know the mystery of the stone of London? It is a mystery still unsolved and tied to a large stone locked in a small cage at the edge of the sidewalk of Cannon Street. The stone has ancient origins and researchers and scientists still don't know the exact age and origin of this large stone. A legend says that at the fate of the stone is tied the fate of London. Hope you will enjoy this post. First day of Spring, finally we can say goodbye to Winter even if in lots of country is still snowing. 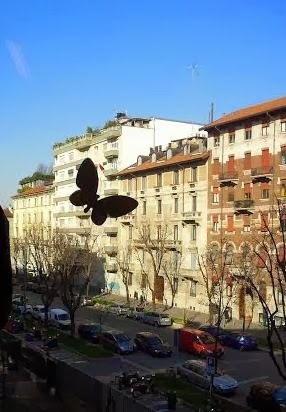 Very sunny day in Milan, pleasant and enjoyable temperature, about 18-20 °C. The weekend will be not so good, it will rain again for couple of days. Need to be patient! If there's one thing I hate, it's just the rain, I much prefer a cold and rigid day rather than a rainy and wet one. Isn't very nice? 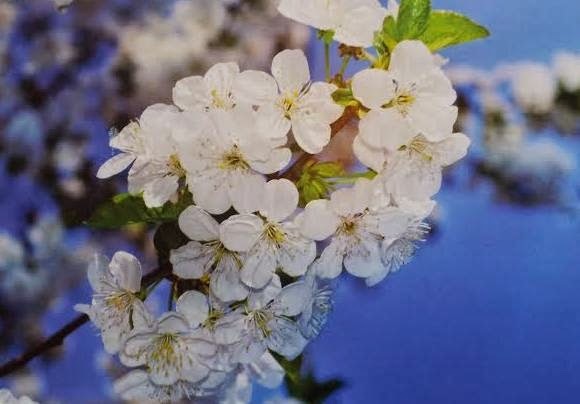 I think they are white cherry blossoms but I'm not 100% sure! I really love this kind of flowers, they can be also pink. This flower is a sign of good luck, a message of good wishes, but also a sign of brevity, because of his very short life: about two weeks. In Japan it become one of the traditional plants of the state. There is a strong relationship between this tree and the flowers and the samurai. One of the many legends says that the color of the petals (for those light pink of course) is so because it was impregnated with the blood of warriors who died at the roots. For this reason, only for the samurai was reserved the honor of the cherry blossom tattoo on the body. Did you know about these stories? Did you like? Days go really fast, it seems like yesterday that I started this great collection and it has already passed two months! I will start to study seriously, in less than one month I will have the mid term exams, but the positive thing is that I will also come back home for the Easter holidays. Are you ready for the postcards? 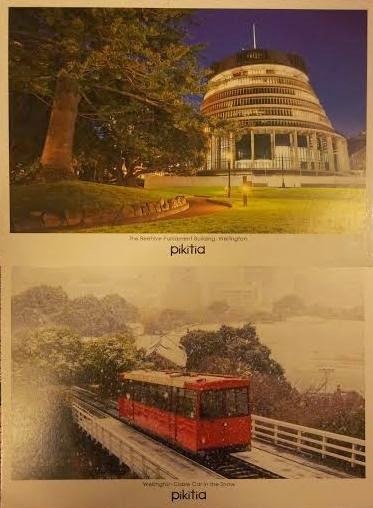 :D Well, Jason sent me these two nice postcard from New Zealand and exactly from the capital city, Wellington that is the southernmost capital city in the world. The first one represents the Beehive Parliament Building, it is so called because of its shape is reminiscent of that of a traditional woven form of beehive known as a "skep". It was built between 1969 and 1979. The other card shows a cable car in the snow. Isn't a very beautiful shoot? Love it! Do you know that the NZ is the home of the kiwi? I mean not the fruit but a curious bird that is unusual in at least two aspects. First, it is the only bird in the world that has its nostrils at the end of its beak. Second, the female kiwi has the largest egg, in proportion to its body size, of any bird in the world (except possibly for the hummingbird). Jason told me about kiwi, I thought was the fruit but I discovered a new animal! Time to start a new day: class in less than an hour, need to study and to work in the afternoon. 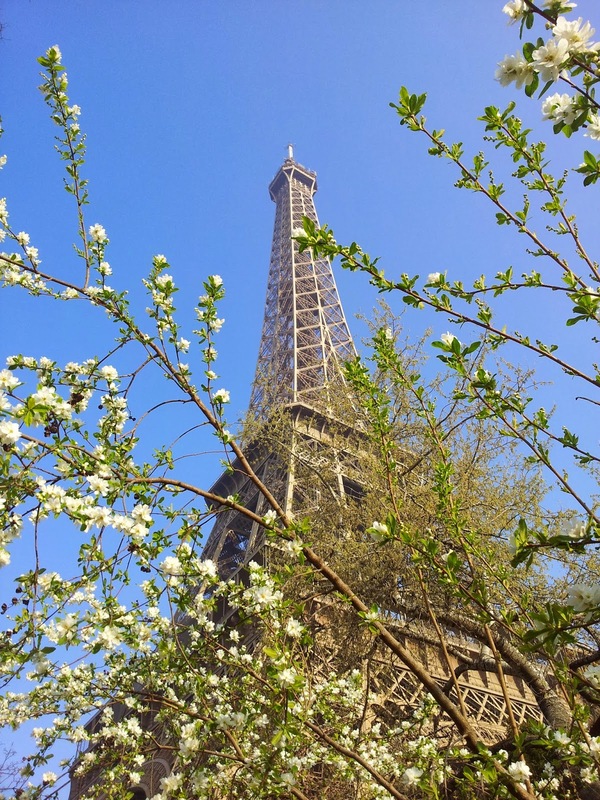 Paris, how beautiful you are! it has been a while since I wrote, how are you? 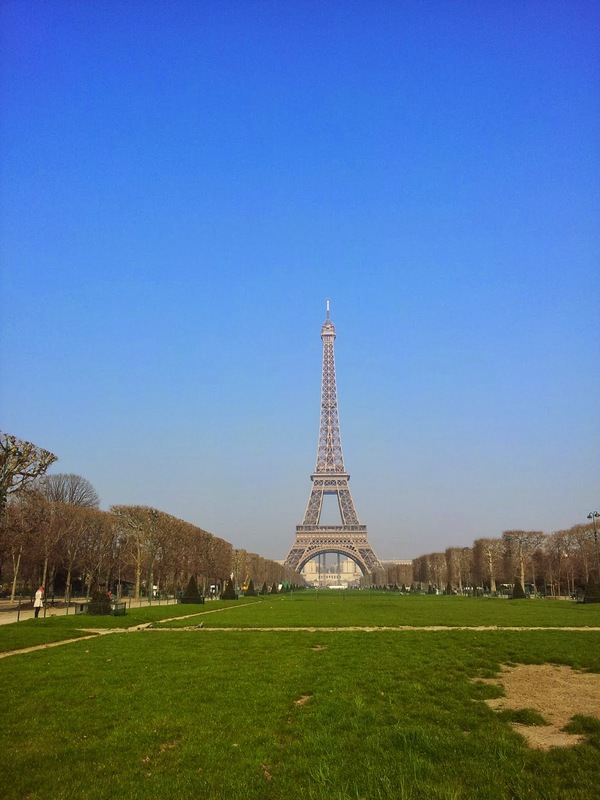 I had a new experience last week: I went to Paris for an "In-company training" program in two different companies, Lactalis and VivaSanté. I really had fun and it was very interesting! I didn't have too much time to visit the city but I saw the main places/monuments. It was better than my expectations. 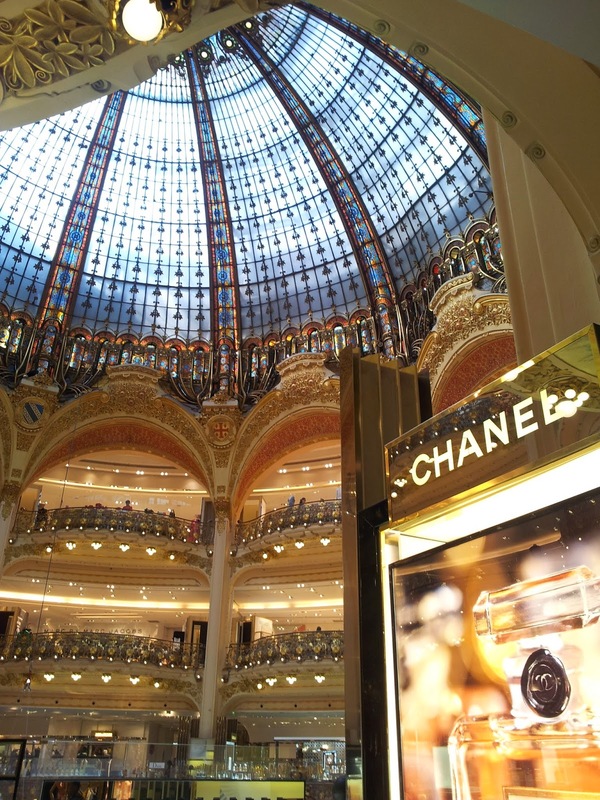 Everyone sais that Paris is a beautiful city but I couldn't really imagine so much beauty. 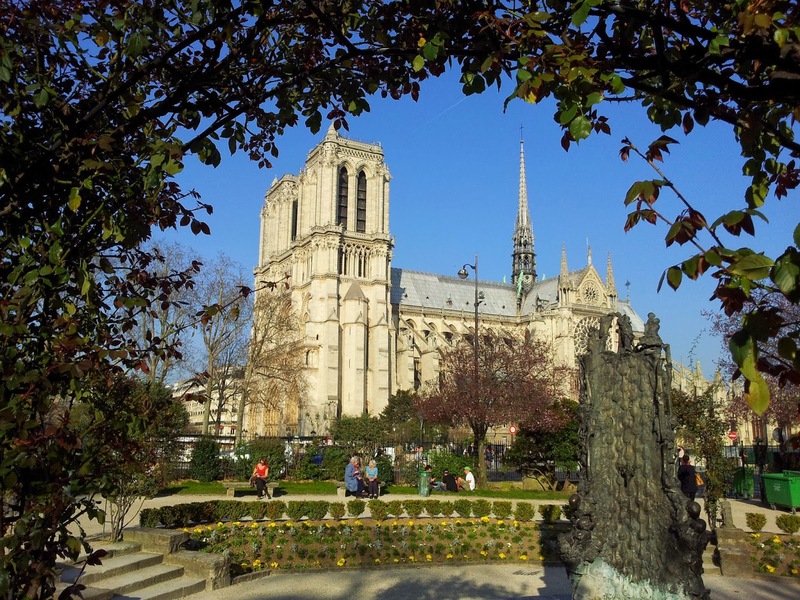 Nice monuments, big green places to have walk, nice atmosphere, good food, everything in one city. I feel tired and I wanna show you some pictures that I took there. These are my favourite ones. 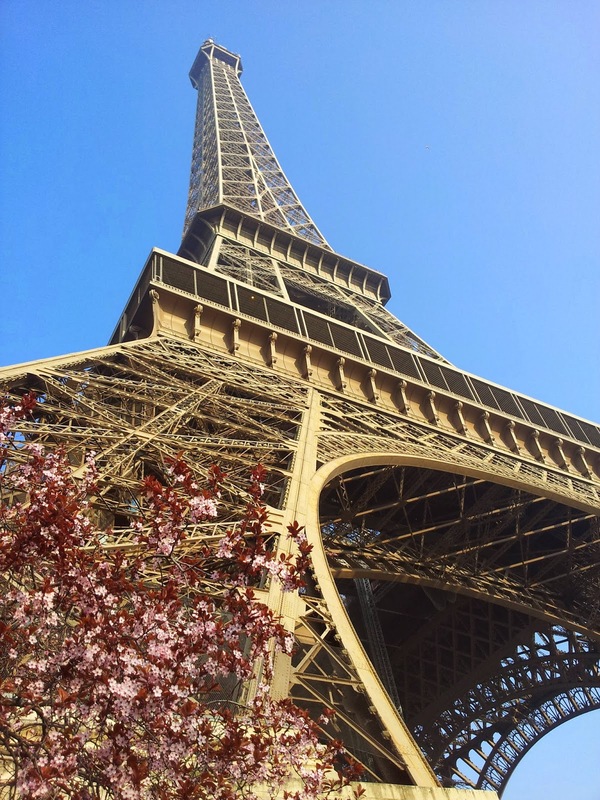 Have you ever been in Paris? Which is your favourite place/monument? It is already Thursady, time flies so fast! I'm preparing to go to Rome, I will have the train in a couple of hours. Rome is a very beautiful city! I'm going to meet also my cousin but I won't have time to visit nothing since I'm going there for work! Very nice and sunny day in Milan, in Rome I will find the same weather! ;) Spring is in the air! Well today I'm flying to Indonesia :D Sun, amazing beaches, hot weather, relax are the words that make me think of this beautiful country so far away from me. 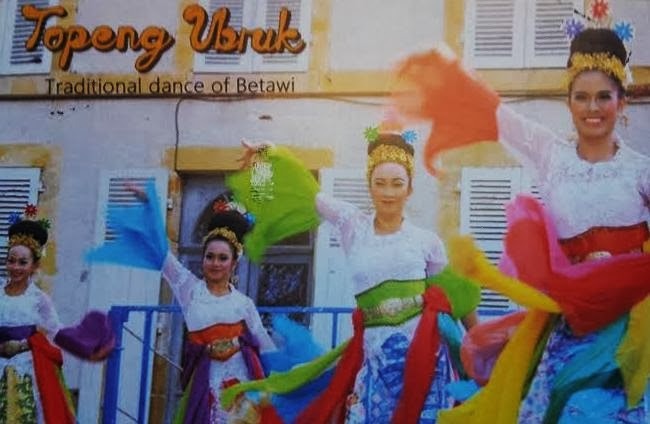 This postcard isn't a place but a part of the local culture: a traditional dance called Betawi. This name is also the name of the local people and it derived from the name "Batavia", the old colonial name of Jakarta. In my opinion these costumes are very unique and colorful! Monday is a day that, more or less, we all hate a little bit! It's the day on which start again the usual monotony after the short break of the weekend. This week will be very busy, I will have to work a little bit and study and on Thursaday I will be in Rome just for one day! Well, why the name of the post of today is "Time to celebrate"? Because, with the postcards that I received today (3 of them) I arrived to "quota" 102 :) I got over the 100 postcards. For me it's a great achievement, I never expected that in such a short time, I would be able to collect all these postcards! What is more beautiful than love? Besides talking in the narrow sense of love between two people, I mean love in general, love for a friend, to a sport, to a true passion. So, I'm experiencing, thanks to all those who have sent me, that are sending me and that will send me postcards, a new type of love, became almost obsession, in a good way of course. The weekend is almost arrived, I will have my last class in few hours and then a bit of relax on Saturday and Sunday even if I will have to study! 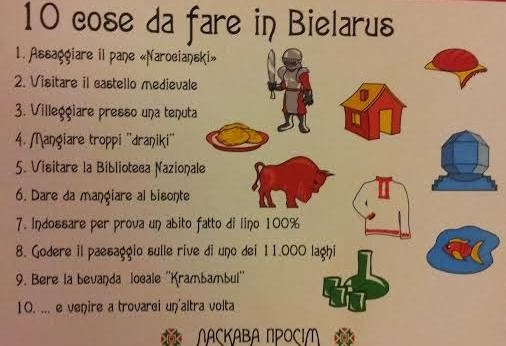 Today I don't wanna show you a postcard from a place or a country but I would love to make you smile and I think that this postcard is perfect. When I got it I couldn't stop smiling and I laugh every time I see it. I LOVE smiling and make others smile. I think it's something so amazing! Have you ever thought about what happens when you smile? 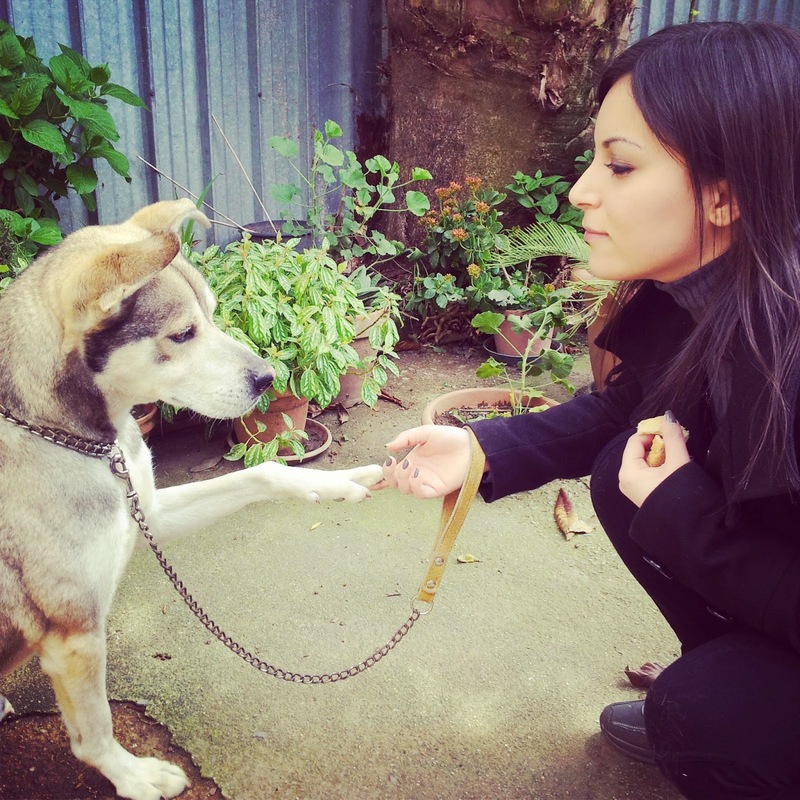 The first thing, to me, is that you become more beautiful! Your heart increase the pulsations up to 120 per minute. Your eyes sparkle, they have more light turned on thanks to a new supply of fresh blood to the pupils. Your nostrils dilate, increasing the amount of air that enters into the nasal passages. The same sounds emitted by laughter help to give you a burst of vitality, thanks to a positive direct impact on the auditory nerves. Laughter is the best medicine for everything and you don't need even to go to the doctor! Just a massive dose of humor every day to see life from a different angle, and certainly better. Isn't spectacular? 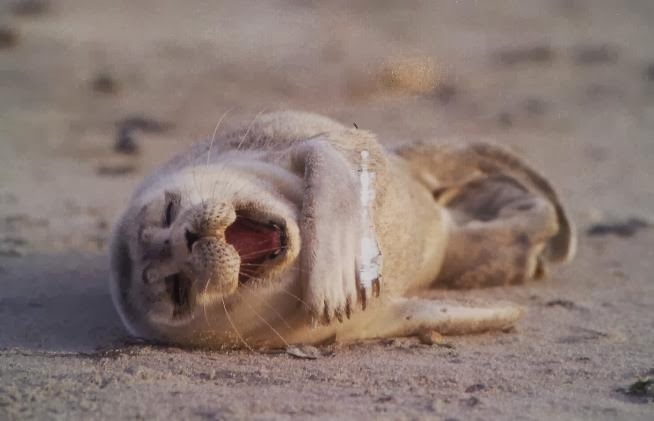 :D An amazing seal! Wilhelm sent me it, he is from Germany and he lives on the coast. Wishing you a great weekend guys! I'm very well, I'm studying and I'm so happy, guess why? Today I got 18 postcards :)) I live in a dorm school and there is the doorman. He called my room and said me: "Bring your bag with you!" 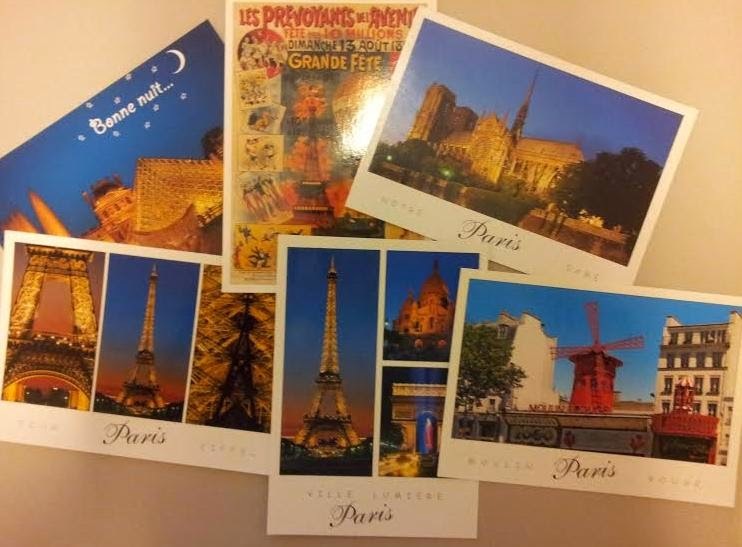 I was receiving 3-4 postcards per time and I couldn't imagine to receive 18 postcards at the same time!! I really can't explain how I felt. I became the "postcards girl" :D Love it! 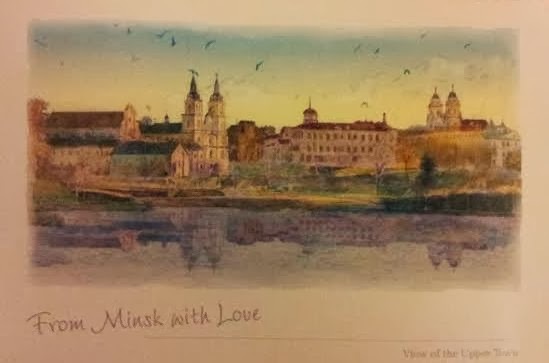 Well, I got these postcards maybe last week, they are from Minsk, Belarus. 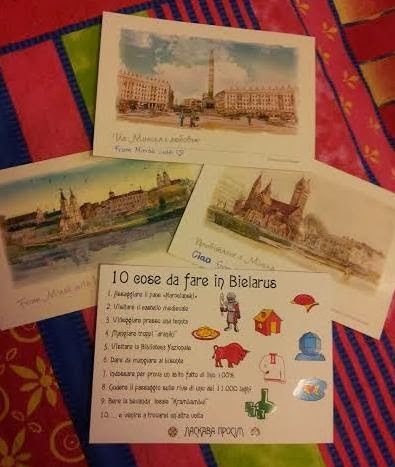 Elena, a lovely girl, sent me 4 of them and one of them it's so funny, 10 things to do in Belarus written in italian. So nice! 1. The square of Independence: independence from Germans after the victory in the Second World War. In the past it was called the Lenin Square and there's still a huge Lenin statue there. 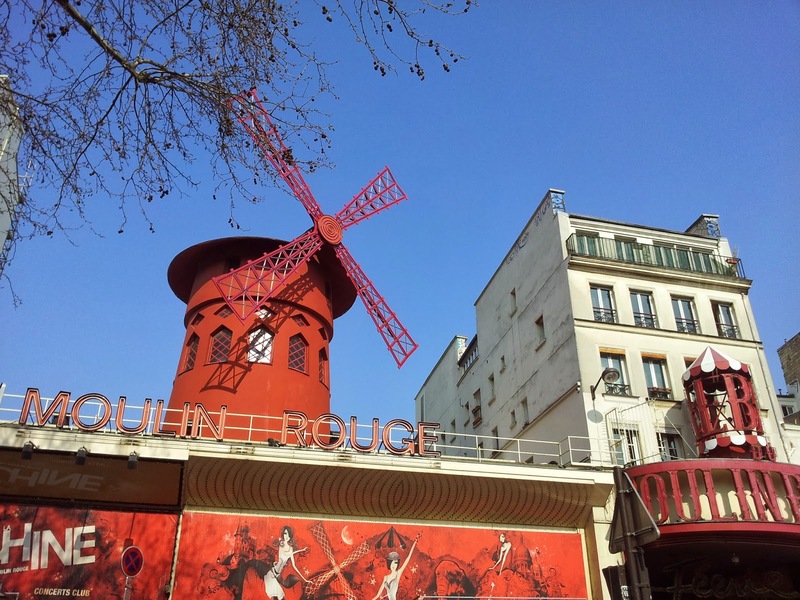 The red building is the Cathedral of St.Simon and Alena, where Elena goes to listen some organic music concerts. 2. View of the Upper Town: the central part of Minsk. The river goes across all the city and she said that it is very picturesque, surraunded by many beautiful parks that are favourite places of the citizens for walks and rest. 3. The Victory Square: she lives 15 minutes from here. It is a square devoted to the warriors of the Second World war. About 1/3 of Belarus population was killed during the war. 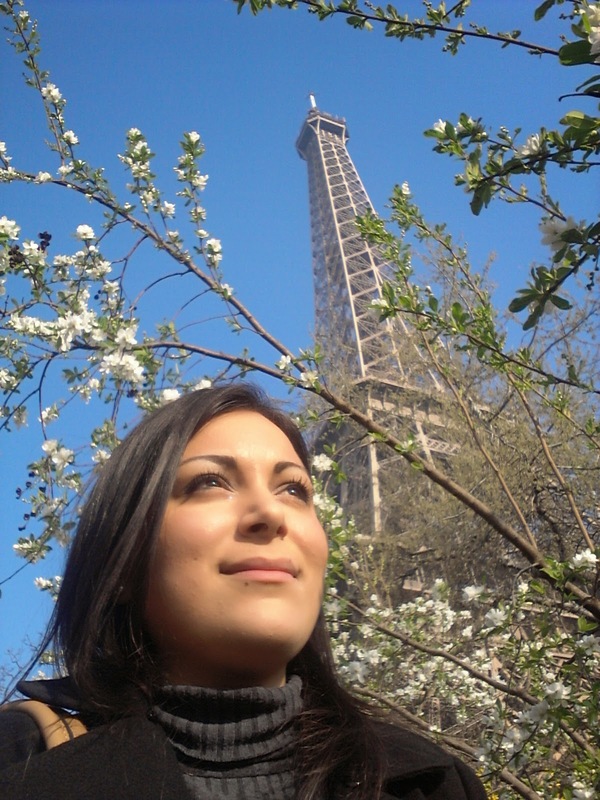 a very sunny day in Milan :) Spring is coming! Well, today I'm flying to Riga, the capital city of Latvia. I had a great time with a latvian girl that I met during my work experience in Vancouver. She is from Sigulda. We had lots of fun there and shared our experiences. Now she is teaching English in Vietnam! 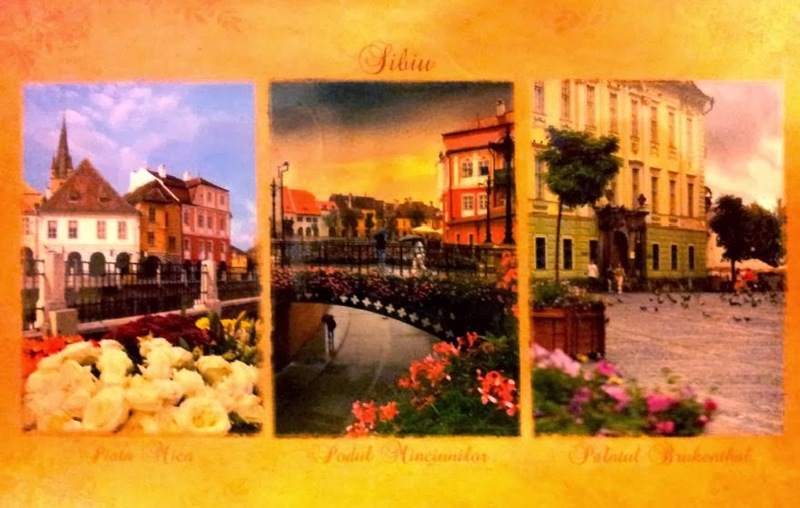 Over this wonderful experience with the Latvian people, the guy who sent me these postcards is also a very nice person. In addition to send me postcards, we also had the opportunity to exchange talks. 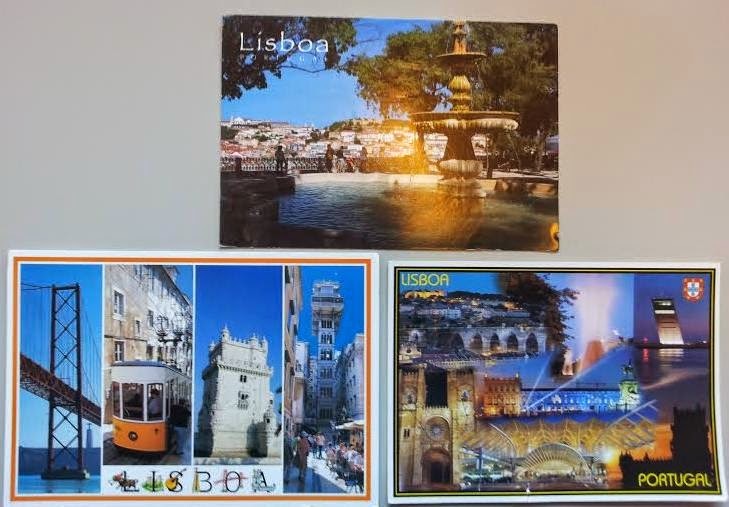 When Arturs sent me these postcards, about one month ago, he said that the temperature there was between -18°C and -23°C. Omg, I can't imagine how cold was, such a chilly winter. Brrrr! Latvia has a long and ancient history and it is one of the least densely populated countries of the European Union. Along with the neighboring countries Estonia and Lithuania it is known as the Baltic States. 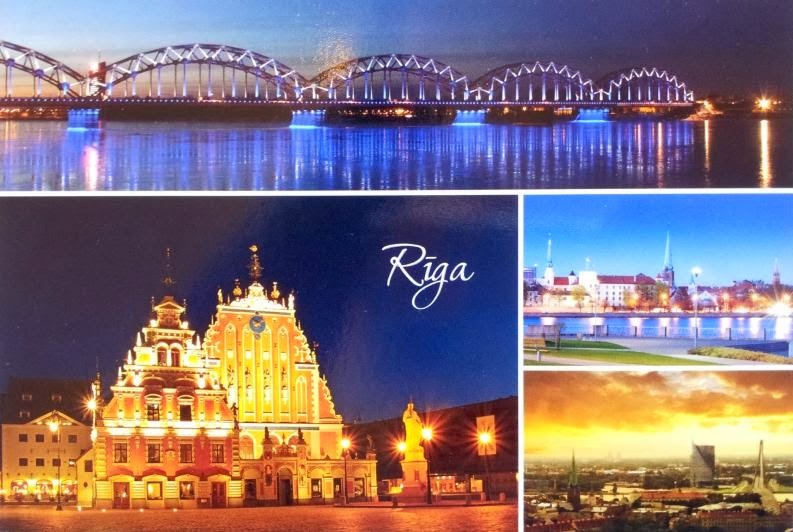 In the Riga's postcard we can see the Railway Bridge, I think is so beautiful, it is located over the river Daugava and it was opened on 1 January 1873. 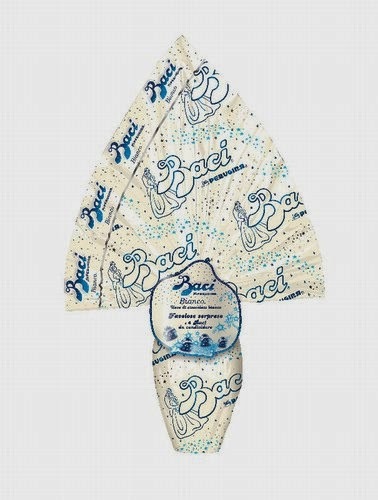 It is illuminated in white and blue, the colors of Riga's flag. We can also see the House of Black Heads, the Riga Castle and an old view of the city. The House of Black Heads is a medieval building and its name is due to the Brotherhood of Black Heads (because of the headgear of the members), born in the city in 1416 as a guild of Latvian merchants. It is currently the house of some municipal administrative offices, the Office of Tourism and a coffee shop. The Castle was founded in 1330 and it is the home of the President of the Republic of Latvia and the National History Museum of Latvian, the third oldest museum in Latvia. 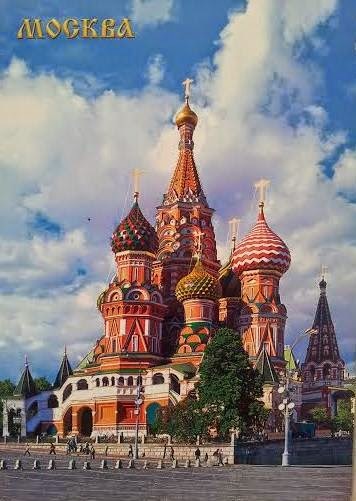 Well, I hope one day to visit this beautiful country and to know in person Arturs! Have a great time and a nice week! Another week is almost finished, my God, time flies so fast! 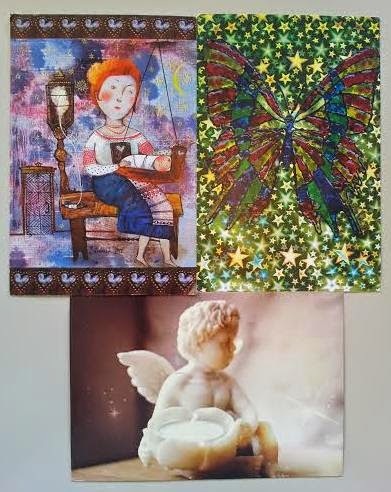 Today I received other postcards :D I'm so happy, every day more and more. Ticket for Australia? Oh yes, why not!? 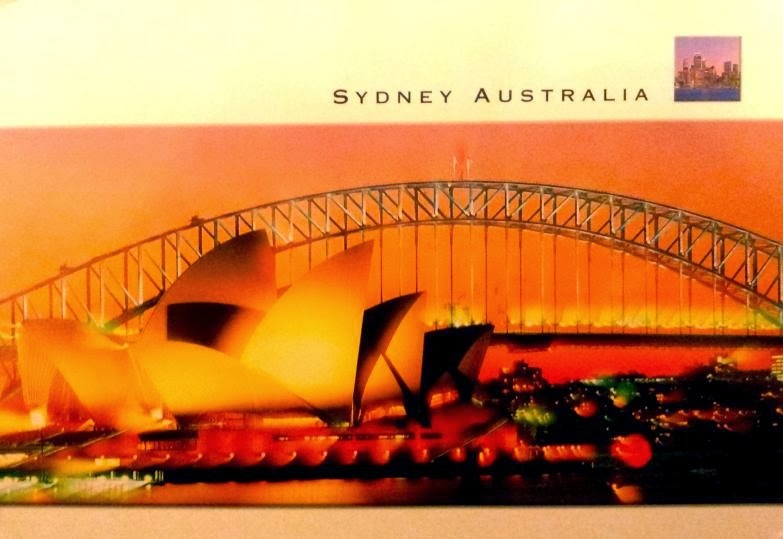 This is the nice postcard that I got, it's from Sydney. The graceful shells of Sydney Opera House and the massive single span of the Harbour Bridge rise luminously against a glowing evening sky. 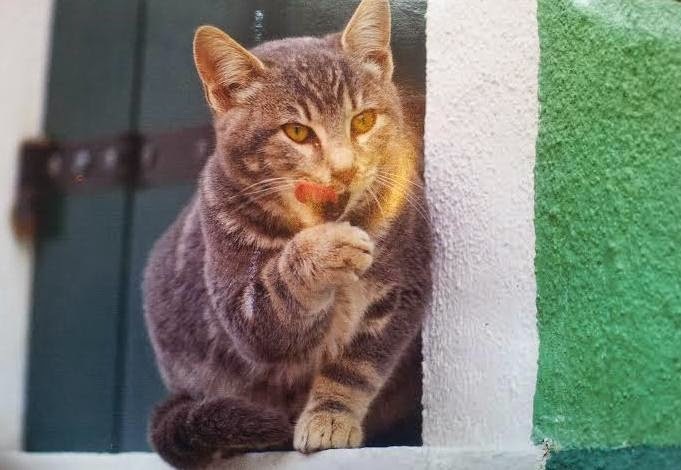 Ramzi sent me it, his first postcard! The Sydney Opera House is a multi-venue performing art centre designed by a danish architect and it was opened by Queen Elizabeth II on 20th October, 1973. About the bridge I found that it has been nicknamed "Coat Hanger" by the locals and it is the largest steel arch bridge in the world measuring 1149 meters in length. Wooow, that's a lot!! I'm going to study a bit! Hope you will like this post and I will appreciate any comments! just came back in Milan. My weekend was very nice with my family :) How was yours? 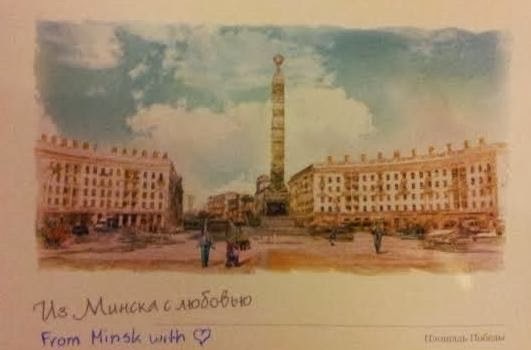 The first one is from the capital city Kiev (or Kyiv) and, in particular, the postcard represents the Monument of Independence. 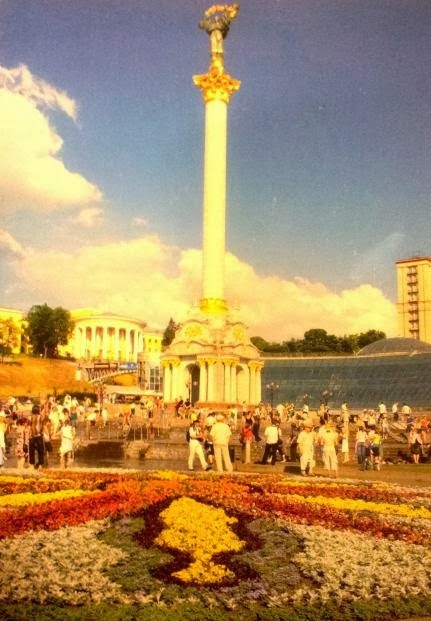 Independence Square is one of three squares located along Khreshchatyk close to the northeastern end of the street. It is situated close to European Square, which is the terminal end of Khreshchatyk. 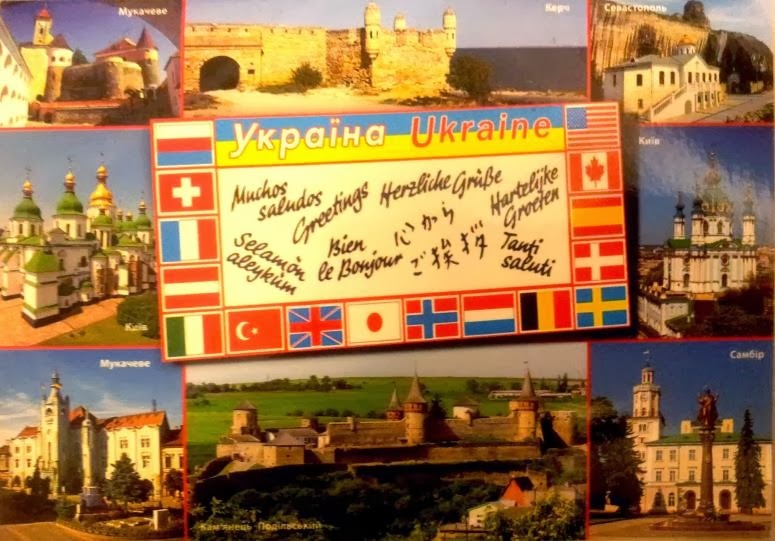 Maria, the girl that sent me this postcard, said me that Ukrainians used to unite there for their country to be free, prosperous and with european values of democracy, the rule of law, freedom of speech and movement. She truly believe in that! The statue represents a woman in Ukrainian national costume on a 40 meter column. Mukacheve, Kerch, Sebastopol, Kyiv, Kamianets-Podilskyi, Sambir. * Mukacheve is located in southwestern of the country. The city is now a rail terminus and highway junction, and has beer, wine, tobacco, food, textile, timber and furniture industries. On the postcard there is the Palanok Castle located on a former 68 metre high volcanic hill. It has of 130 different rooms with a complex system of underground passages connecting them together. Upper left there is also represented The Town Hall considered the splendid ensemble's gem of the city. * Kerch is considered to be one of the most ancient cities in Ukraine. On the picture there is the Yenikale fortress, that was built by Ottoman Turks in 1699–1706. The fortress occupied area of 25,000 m² and had two powder-magazines, arsenal, water reservoir, living houses, bath-house and mosque. * Sebastopol is the second largest port in Ukraine. The Inkerman Monastery of St.Clement represented on the postcard, is a cave monastery in a cliff rising. It was founded in 1850 on the where the relics of St. Clement were kept. * Kamianets-Podilskyi is a city on the Smotrych River in western Ukraine. This city has a big castle and its foundations were built using limestone. That's not strange? It seems so majestic! * Sambir is a city of wester Ukraine. In 1668, a town hall was built here, and in the early 18th century, the local church was remodelled. 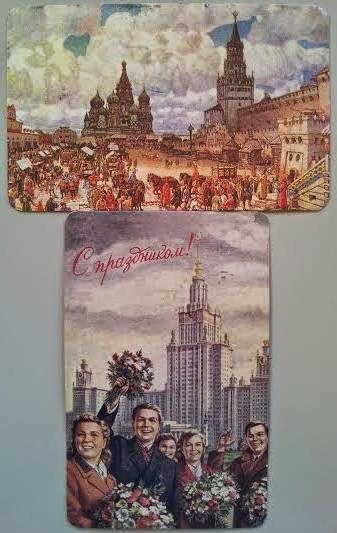 Thanks to Oksana for this postcard! All seems very nice places. What do you think? Before concluding, I would show you this video about the really sad situation that the country is experiencing. It's time to go bed here! That's Sibiu, a lovely town in the heart of Romania. It's one of the most important cultural centres of Romania and along with the city of Luxembourg, it was designated a European Capital of Culture for the year 2007. The old city of Sibiu was also ranked as "Europe's 8th most idyllic place to live" by Forbes. Palatul Brukenthal: is one of the most important Baroque monuments in Romania. This building was built between 1777 and 1787 to serve as the official residence of Baron and head of its collections. 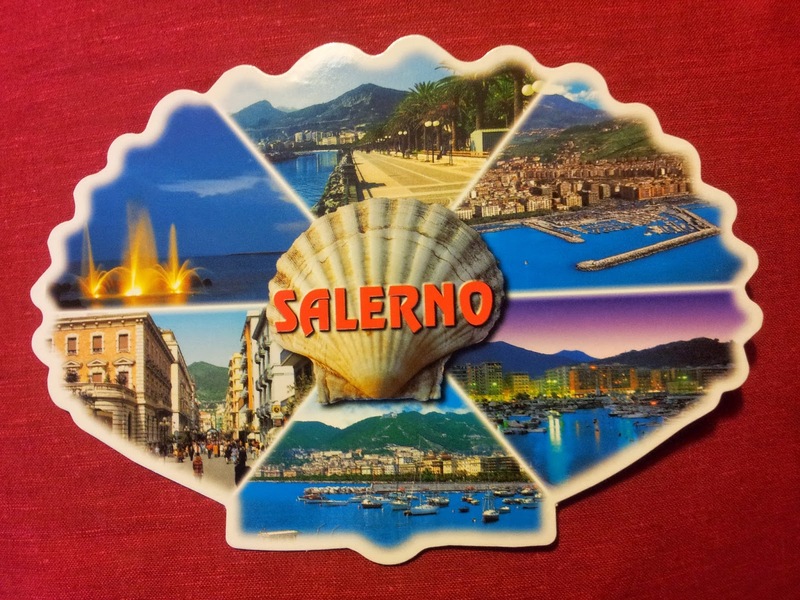 Well, I knew a new city and I learned more about it thanks to Simona, the girl that sent me this nice postcard! My last semester of study started this morning, first class Advertising Management. First impression, not bad! 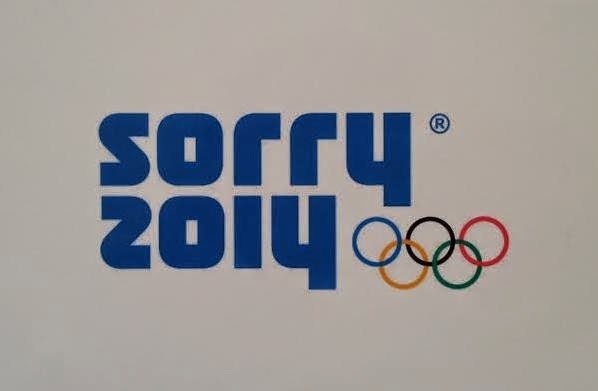 I liked it, it was a funny lesson full of advertising campaigns. I'd like to share one with you, maybe you have already seen it! Well, the postcard of today is from Slovakia. 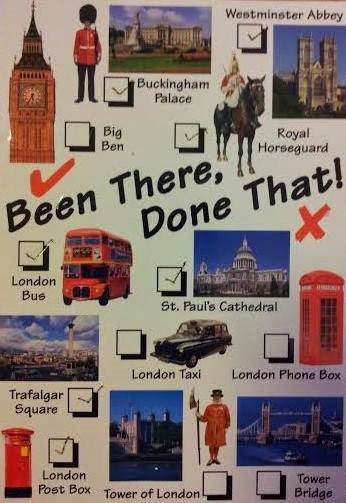 This is the first postcard that I received from Europe! Do you know how to say HI in slovak? 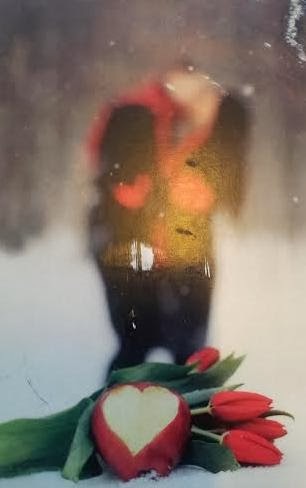 :) Martin, the guy that sent me this card, told me that it says AHOJ! 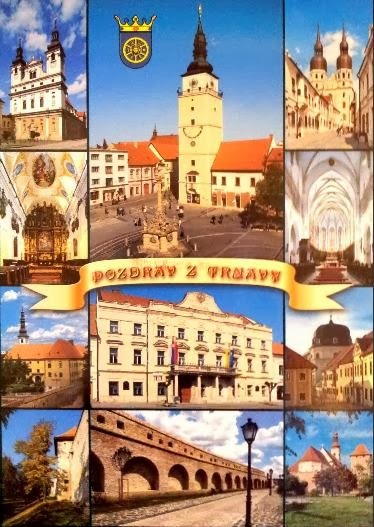 The city is Trnava, a small city in western Slovakia, about 50 km to the north-east of Bratislava. It is also one of Slovakia's oldest cities (13th century). Because of the many churches within its city walls, Trnava has often been called the "Slovak Rome". On the picture are represented some important monuments of the city like the Cathedral of St.John (upper left), the Tower in the historical center (upper middle), the Gothic church of St.Nicolas (upper right). That's not another nice place? Thank you so much to Martin, he also got mine from Milan, it was a pleasure exchange with him. I feel tired, tomorrow I will have another new class starting at 8.45am. So, have a good night in you're reading from Italy and Europe and enjoy the rest of the day for other people! And, you know why I chose to tell you about México? Well, I just had my spanish exam and it went well, I'm happy! Who, among us, has never think of doing a nice vacation there? Since, unfortunately, it is not of my future trips due to distance, price and lack of time, I will travel a bit with my imagination! 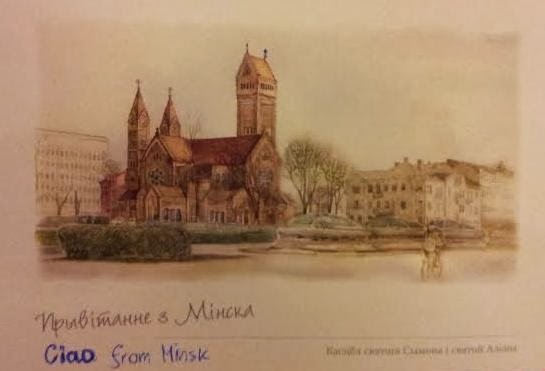 Stefan, sent me this postcard last December! It took lots of time, I got it around the mid of January! 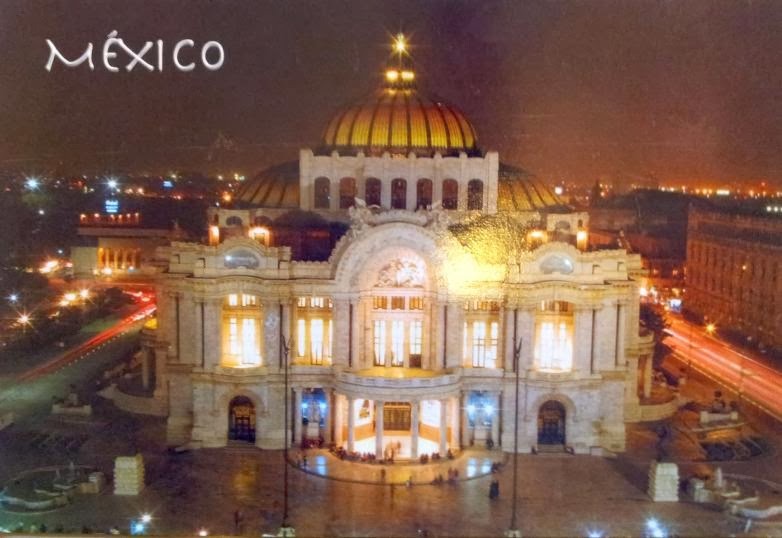 Well, this is the "Palacio de Bellas Artes", a building built of white marble. 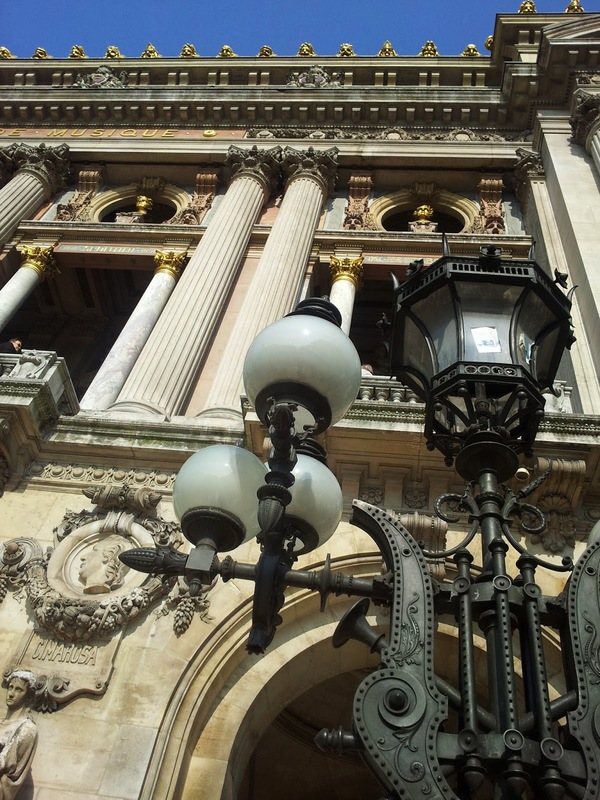 The construction began in 1904 and it is considered the most important theatre in the city. It is located on the west side of the historic center of Mexico City. It also contains murals of important Mexican artists such as Camarena, O'Gorman, Orozco, Siqueiros and Tamayo. The palace has a mixture of a number of architectural styles; however, it is principally Art Nouveau and Art Deco. Stefan wrote me that this is his favourite building in Mexico City. 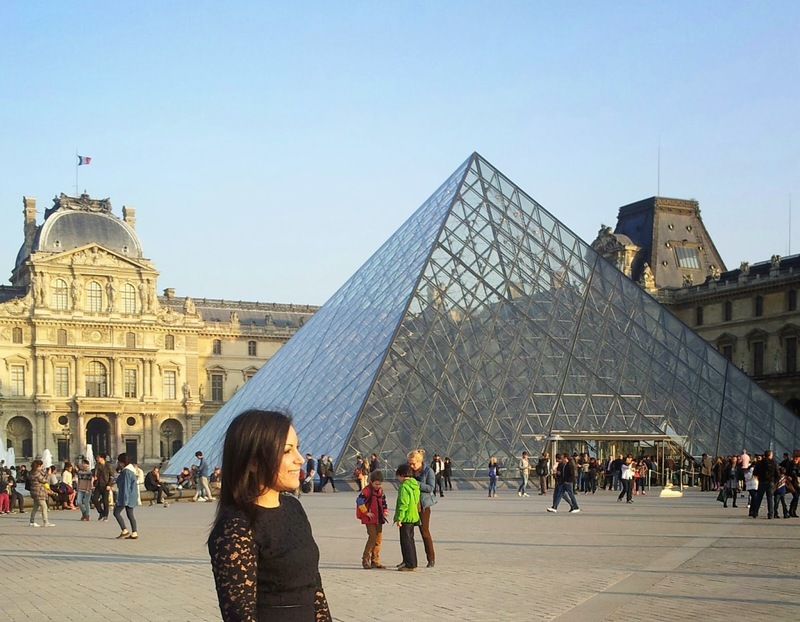 I think that is a must to see especially for people who are passionate about architecture and art. Two B for you: Borneo & Brunei! Guess what? No rain, finally today it was a very sunny day :) A small break since it tomorrow it will rain again! I also had a UNICEF video conference for a kind of a new project and I met two lovely polish girls, we went to a nice live music pub here in Milan, had a great cocktail and shared experiences! A very nice evening! Borneo is the third largest island in the world and the largest island of Asia. It is close to Brunei, Malaysia and Indonesia. 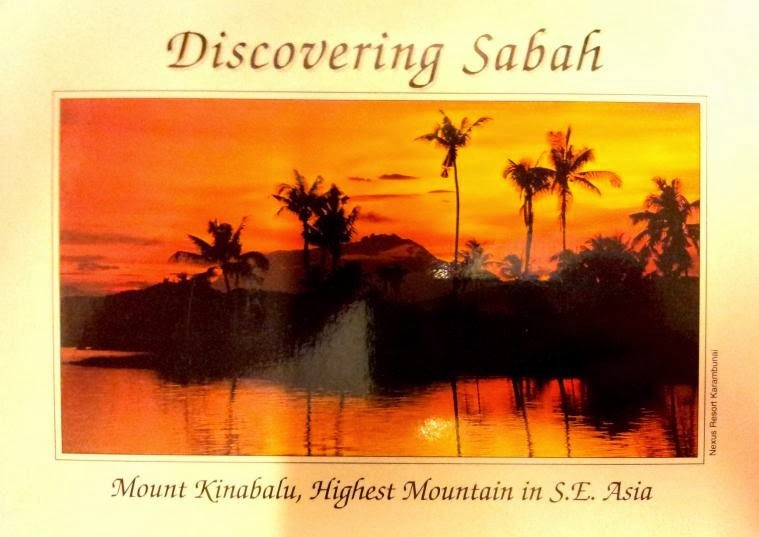 The card represents the Mount Kinabalu, the highest mountain in south east of Asia. This is one of the most important biological sites in the world. I wanna say thank you to Fiona, the girl that sent me this nice postcard! :) She also got mine from Milan! Brunei is a sovereign state also located in the south east of Asia. 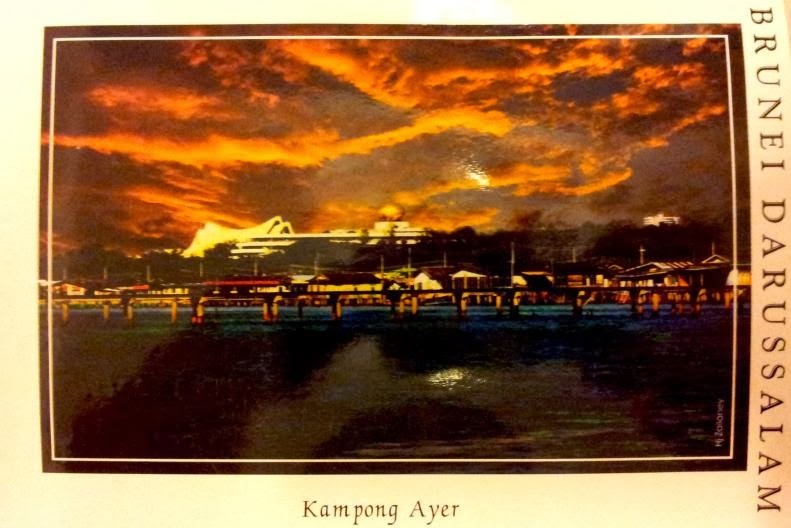 This city, Kampong Ayer also called Water Village, has a very particular characteristic: all buildings are constructed on stilts above the Brunei River. I "googled" the distance from Milan to Brunei, well, more than 16000km :O That's a lot!! It's time to go bed, I feel a bit tired and tomorrow I will have another long day! Vancouver, what a lovely place! Another post, two in one day is too much, I'm having lots of free time! It's still raining here in Milan, I really can't take it anymore! I look forward to the spring, I hate the rain! Well, today it's the turn of Vancouver, the city where I spent 3 months for an internship experience. I had such a great time. I met lots of wonderful people, I saw breathtaking views. I really enjoyed my stay there. I'd like to come back. The only downside of this city is the rain, it's very rainy, sometimes people call it "Raincouver", but I was lucky, not too much rain during my stay ;) Yeah for me! Are you ready for such a lovely card? Here it is, a piece of Vancouver Downtown. My office was so close to this area! 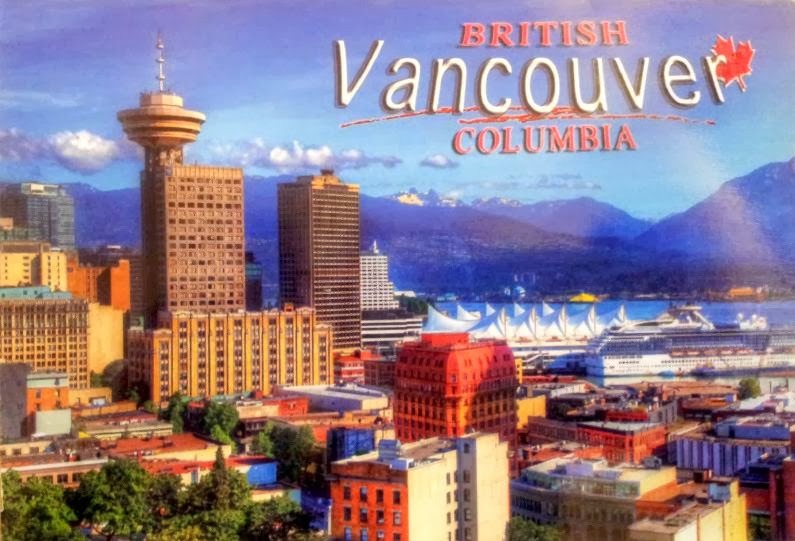 Unike as I thought, Vancouver isn't the capital city of British Columbia but is one of the largest Canadian cities. Compared to European cities, it is very young! There is nothing that has more than hundreds of years. 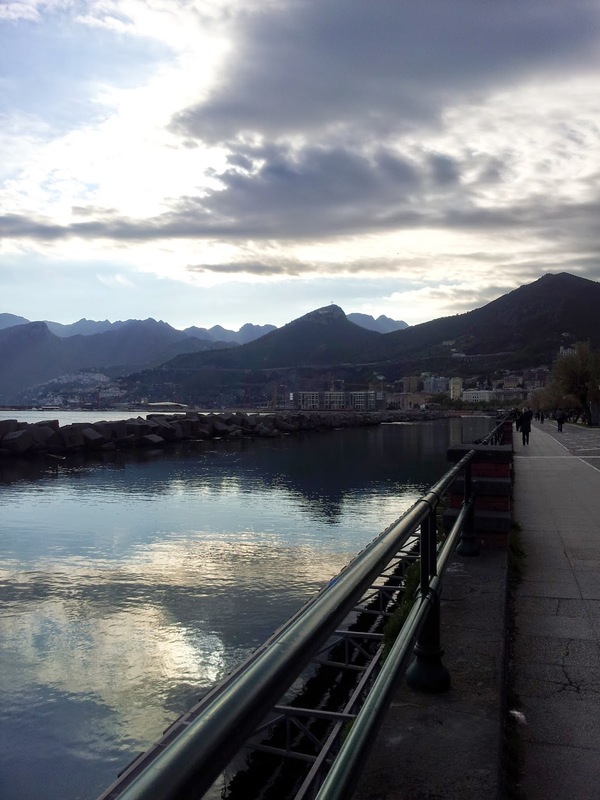 It is located on the sea but is less than half an hour from the mountains, that makes it so fascinating! It is also one of Canada's warmest cities. 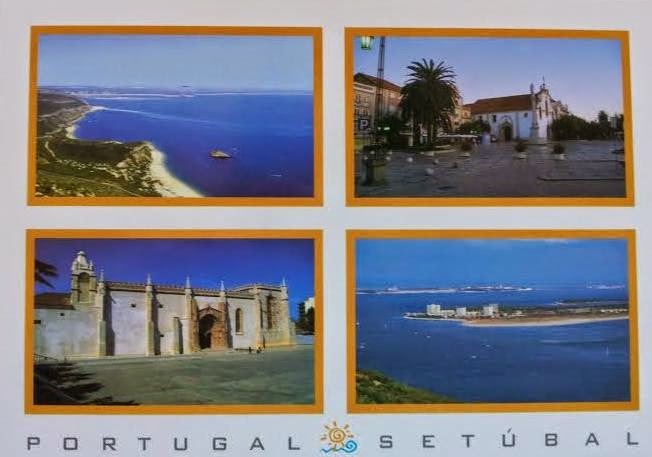 Isabelle is the girl that sent me this postcard, I didn't have chance to meet her in person, what a shame! So, what do you think about Vancouver? 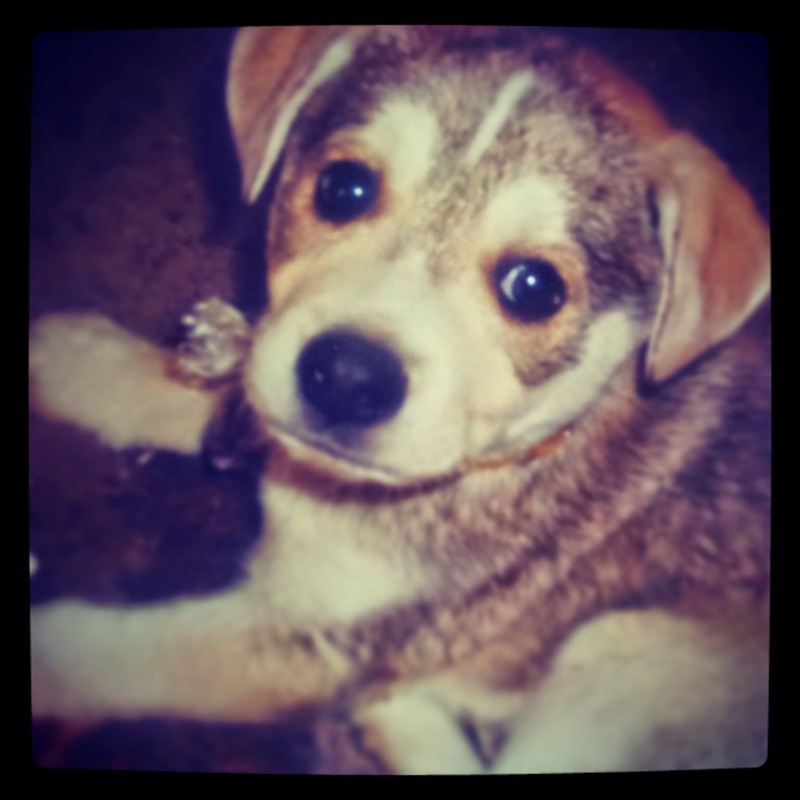 I fell in love with her the first day! Before greeting you, I wanna show you a short video, a collection of some pictures of my experience. I heard that song for the first time there. I hope you will like it! Are you ready for the first postcards that I got?! Here we are: Philippines, Thailand and Cambodia! 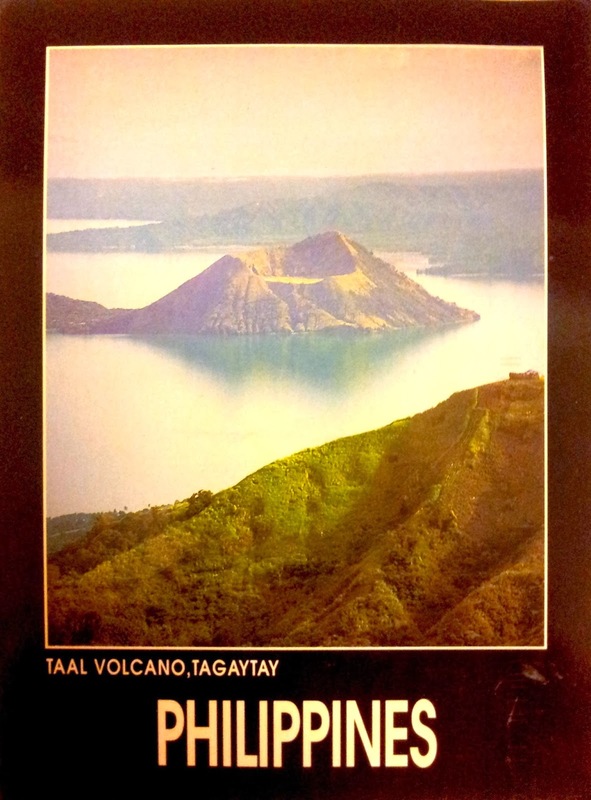 Taal Volcano is located on the island of Luzon in the Philippines. It is the second most active volcano in the Philippines with 33 historical eruptions. Even it is a volcano this postcard makes me relaxed, I don't know why, maybe the nature, the water, the amazing view! I've never been to Philippines, I really wish one day! 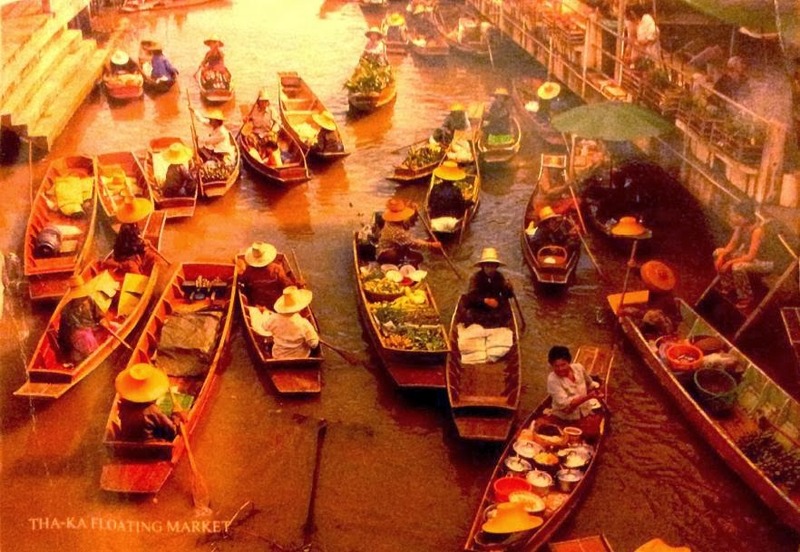 A lovely floating market from Thailand. This is the market of Tha-Kha, in the Samut Songkhram Province, one of the central provinces of Thailand. This market still is part of the villagers’ way of life. The villagers here do farming and grow various plants. They usually paddle a boat to bring their produce to sell to each other. I was in Thailand about two years ago, one of the best trip that I've ever had. I visited Bangkok and some islands in the south of the country: Koh Tao, Koh Phangan and Koh Nang Yuan (my favourite). What an amazing country! So different culture from Europe, lovely people and amazing views. I'd love to come back to discover the North of this beautiful country. Thailand will always be in my heart! An amazing sunset from the province of Siem Reap. 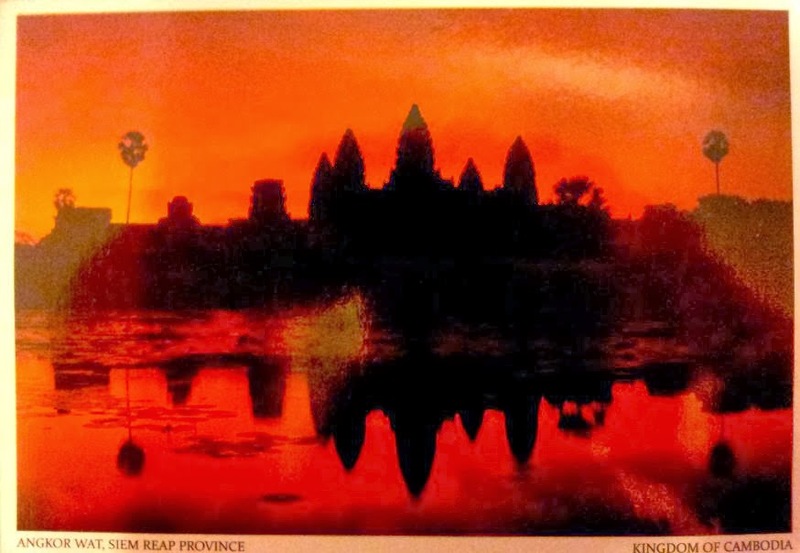 The Angkor Wat is a Buddhist temple in Cambodia and the largest religious monument in the world. This temple was built lots of time ago, in the early 12th century. It is a symbol of Cambodia, in fact it appears also on the national flag. My boyfriend was there about two years ago with his friend. They described me as a fascinating and so misterious place, a must to see! So, did you like my first postcards? I love them! Have you ever been in these places?